Dozen pair - two of each color. 2 3/4” soft plush hanging dice w/ white string. 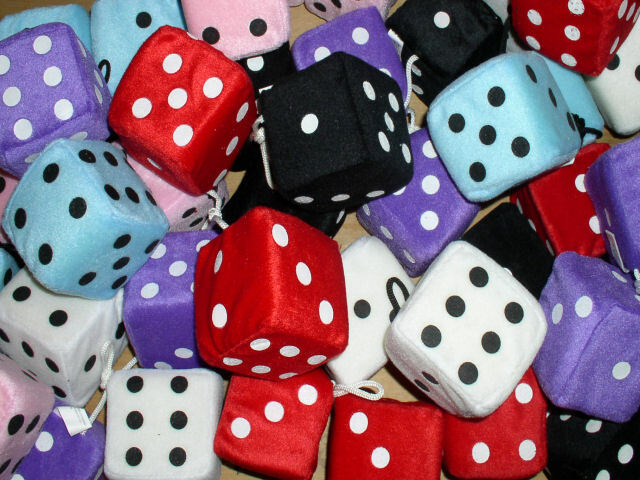 Even assortment of colors: red, white, black, blue, purple, pink fuzzy dice.